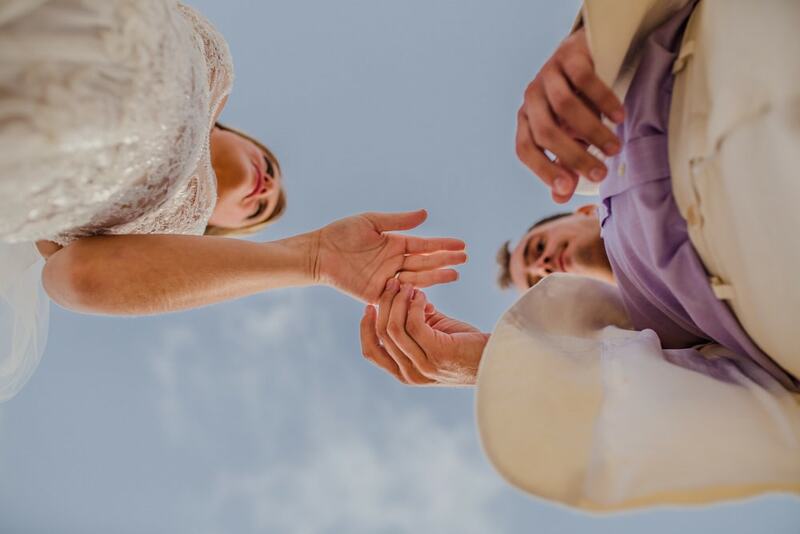 An outdoor wedding is one thing that never loses its charm; more and more couples are favoring blue skies, sunlit venues over indoor ballroom settings these days. 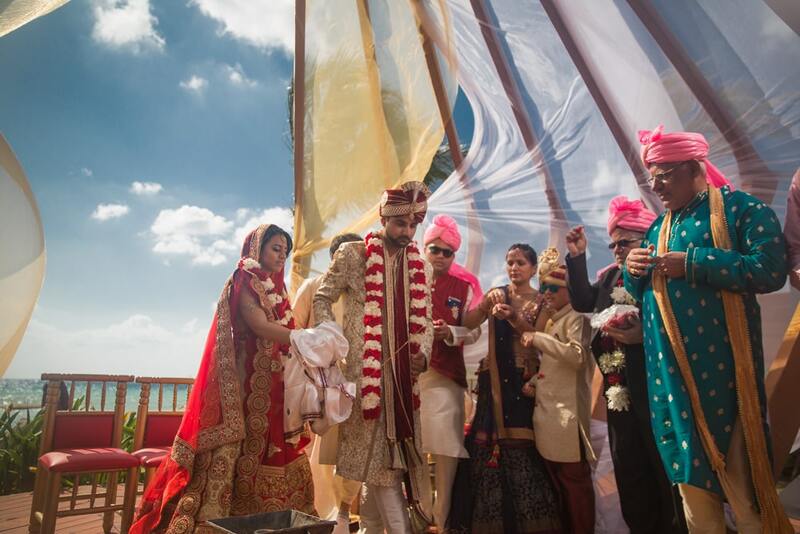 We are seeing a growing trend with Toronto’s Indian couples who are opting for a perfectly lit outdoor location despite having to arrange for all of the logistics around traditional ceremonies. 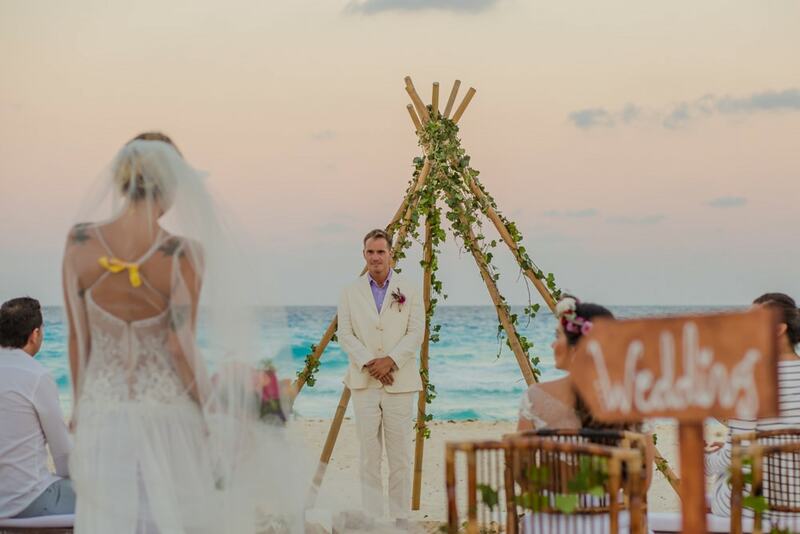 So whether it’s a beach wedding in Cancun, a Toronto Mill wedding or even a golf course wedding anything is possible as long as you can take care of the small things. 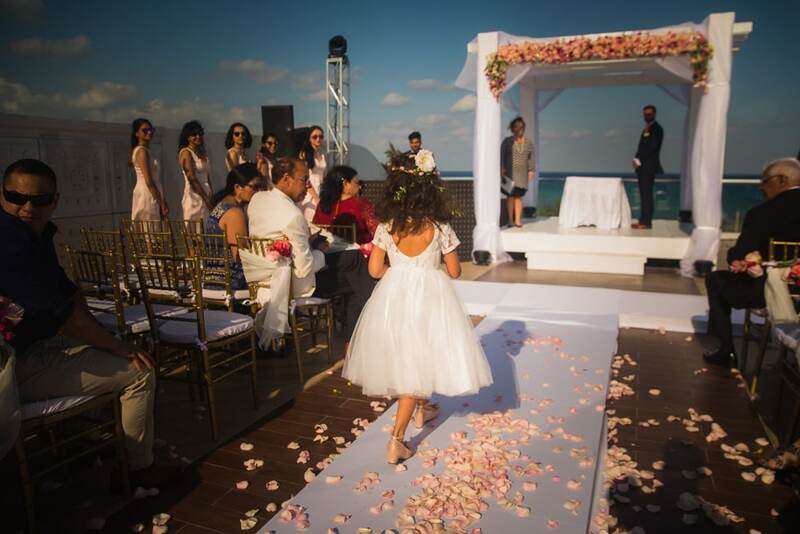 There are a few challenges that come along with a destination for sure, but outdoor ceremonies are worth that risk! 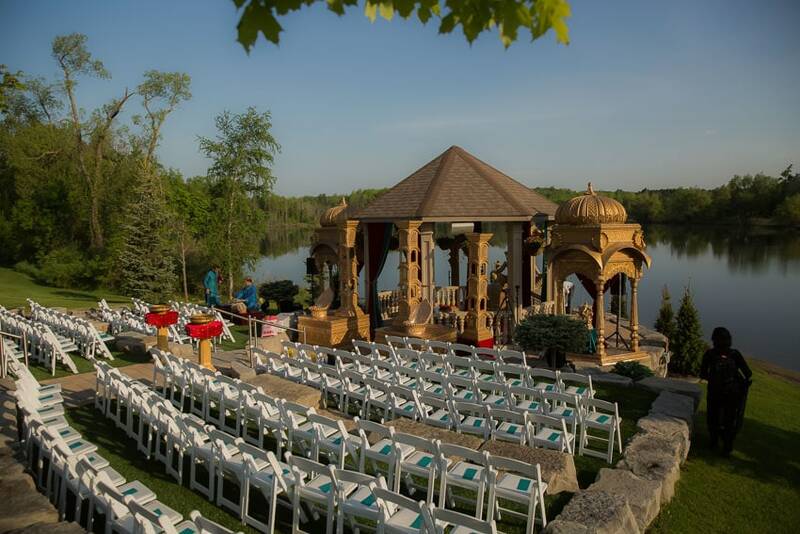 Since about 30 percent of the weddings we shoot here in Toronto are outdoor ceremonies, we have summarized in this blog post the things you need to take into consideration when planning for the perfect outdoor ceremony. The Show Must Go On – This is one thing about weddings, the show must go on. Think about it as rain or shine, you have to get married on that date. Be mentally prepared to not let the weather affect your mood on your wedding day. 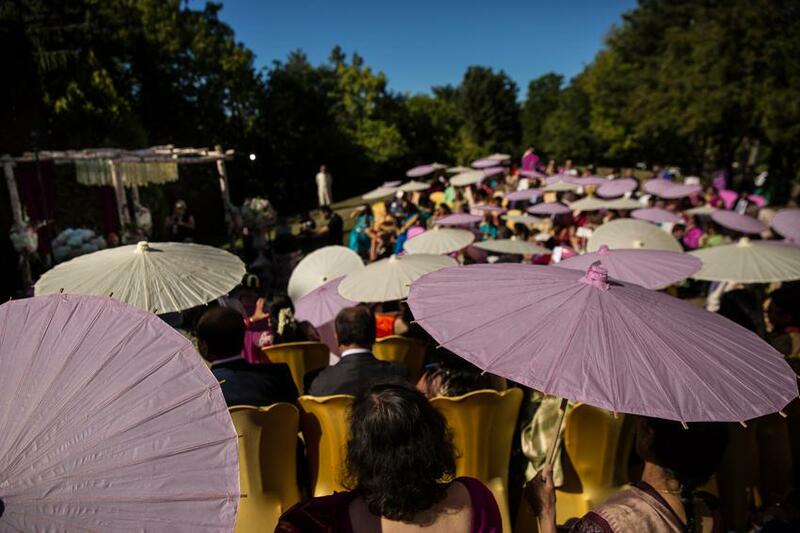 Venue – Your venue choice has a really big importance when it comes to outdoor weddings. Do you have a weather emergency backup plan? Are you able to move your ceremony indoors or not? If there is no indoor space available, then you will have to keep your fingers crossed and pray for no rain or why not consider a tent option. There are professional tent companies which will set up a waterproof option to make sure you are covered in case of rain. 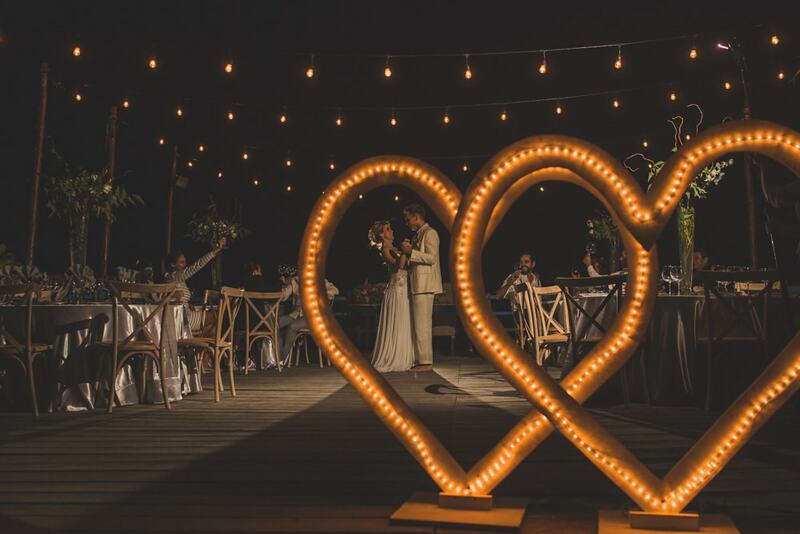 It’s All About the Light – Be sure to know where you will be standing for your outdoor ceremony and make sure you go a day or two before your wedding ceremony to better understand how the light will fall on you. 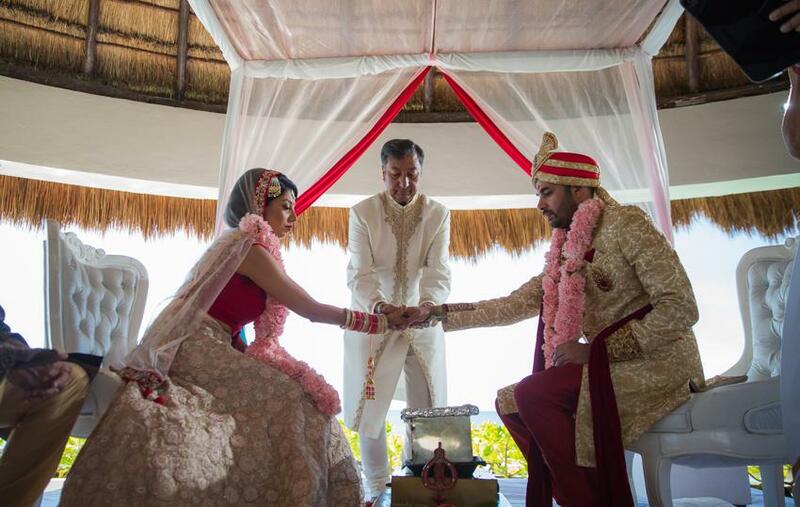 Light does change with every minute in some of the settings, so the best thing you can do is understand that before planning for your altar or your mandap (Indian wedding altar). Decoration – Your decor and your altar or mandap should also be planned according to the light. 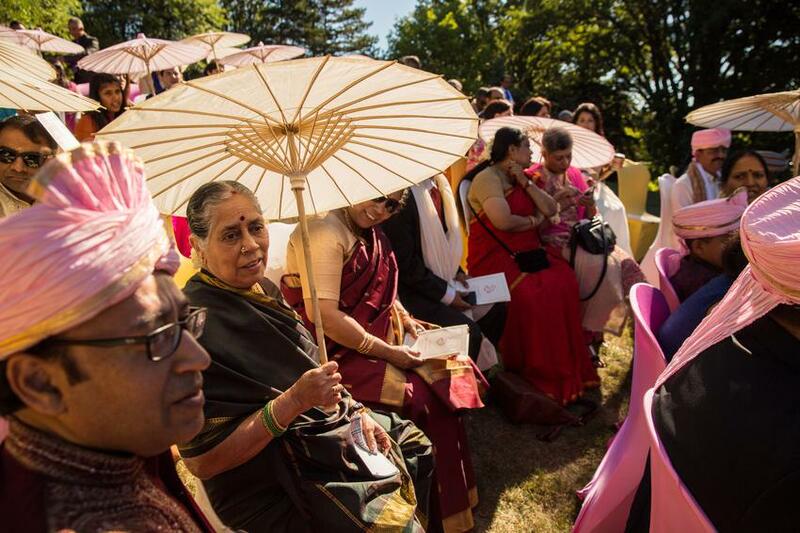 There should be at no given time during the ceremony where you or your fiancé be partially lit by the sun. It will show in your images and video, so do yourself a favor by either fully covering yourself in shade or let the sun fall on both of you. A very good example of this, we were shooting a wedding where the couple was partially light at the altar. So, we moved their position by 30 cms to have both the bride and groom evenly lit by the light. Also, make sure that your decoration set is not too bulky as it could get windy and really affect the look of the altar or mandap. Think About Your Guests – It can get very harsh with the heat from the sun on a beach wedding or a sunny outdoor summer wedding, so think about some sort of shading for your guests. Water and lemonade stands are also a great and creative option for summer weddings. We can not help but put emphasis on Number 3 and 4 as those are probably two of the things we always have to remind couples of, since with our experience, it can be difficult to understand the effects that light can have on you. 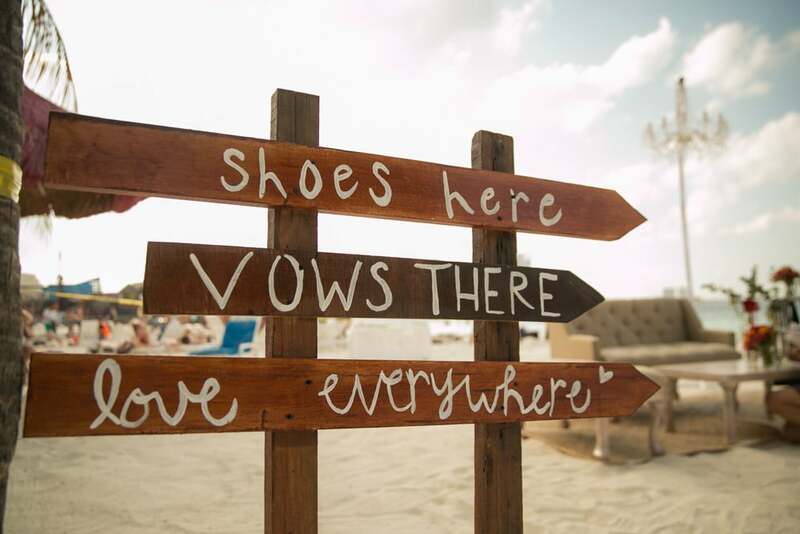 We wish you a happy planning for your outdoor wedding in Toronto or maybe somewhere on beach destination. 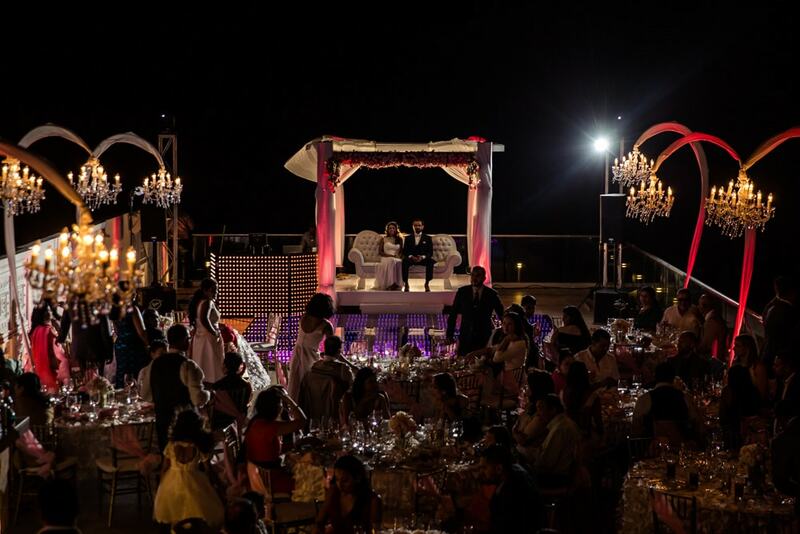 Whether you are planning to get married in Santorini, Greece, or on a vineyard in Italy, always remember that a good light can set the mood; the right light will capture your magical day in images you can always treasure. One last thing is to always make sure to ask your wedding photographer if they have the necessary tools to photograph outdoor wedding ceremonies. For example, if you are sitting with your back towards the sun, your photographer needs stone lighting such as a profoto to balance the light. Experienced photographers will be prepared to balance such midday sun. Always remember that sunsets and sunrises make for the best lighting to create that surreal feel whereas clouds make for good lighting to create a more dramatic image. 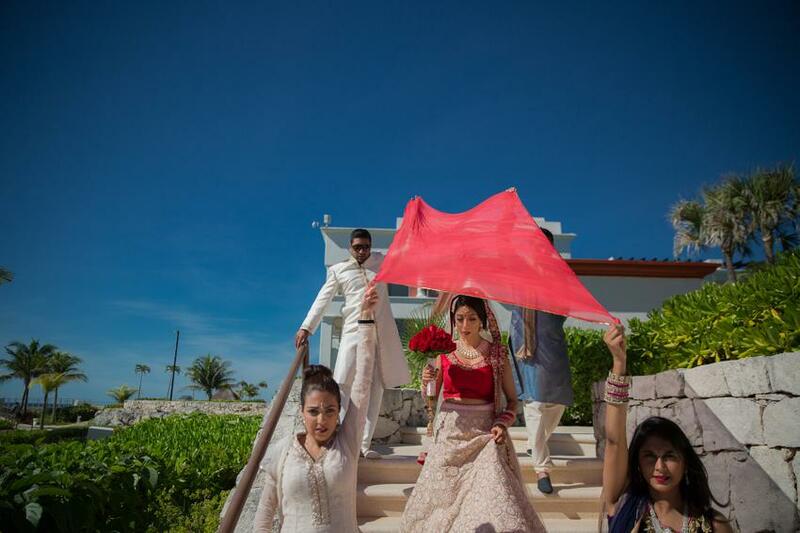 Check out this outdoor Hindu-Catholic wedding and some other images which will give you a better idea of lighting in outdoor ceremonies.